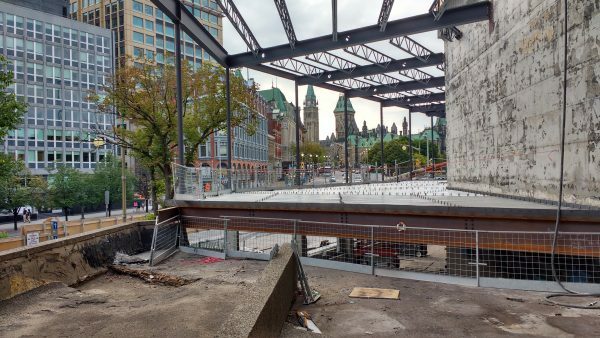 The Ottawa news cycle is a revolving door of controversies over architecture, landmarks, monuments, and mega- infrastructure and redevelopment projects. They all seem to follow similar patterns. Grumpy, overly-critical, malcontent residents resisting change and arrogant, overly-ambitious egotistical politicians, architects and developers pushing their change on the city. On my cynical days, I agree with the characterization. I am overwhelmed by the self-interest and hardline drawn by either side. The unwillingness to consider other perspectives and other users. And that instead of considering big important questions and issues, we seem to waste our energy bickering over minor trivialities. And while we keep hearing “only in Ottawa,” do we really believe we are that special? This is nothing new nor unique to Ottawa. On more optimistic days, I like to focus on how passionate people are about this city and how much they care. People are deeply attached to the city as it is and as it could be. There is an active community and engaged councillors and city staff working hard every day to fix problems and make the city they love even better. One of the recurring arguments we see played over and over is the “world-class city” card. But exactly which side wins with this card is hard to tell. On the one side, we are asked whether the project is deserving of a place in a “world-class city”. From the other side we are asked why we would stand in the way of a “world-class project”. Is it arrogance or inferiority complex? Is it a desire to have nice things or failure to recognize the great things we have? Notice we almost never discuss the qualities that make a “world-class project”. If you were to try to piece it together from the press and artist renderings, you are probably left with the conclusion that it means a theatrically illuminated mostly glass building with a couple weird angles or protrusions with a lot of models walking about and some guy pushing a bicycle. The image is always the reverse selfie angle because cities and landmarks should look bigger, not thinner. Ottawa hardly needs special camera angles and filters to look awesome. It is a beautiful city. Ottawa also has a winning personality. But . . .self-improvement is always a noble goal and in that case, I vote we work on our inner-self before worrying about superficial makeovers. 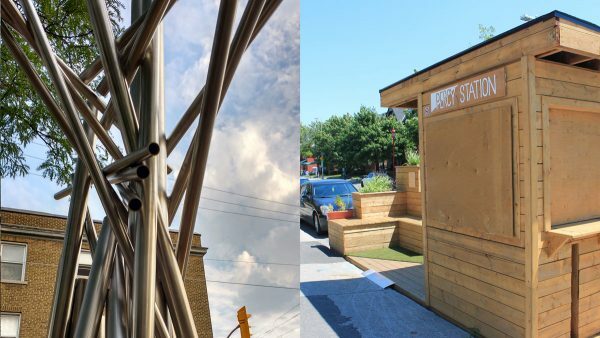 When it comes to “small” more modest, doable, incremental and sustainable projects, we are a pretty great model of self-improvement—both official city projects and community initiatives. They are not always perfect projects but they are improvements and they are signs of our commitment to the collective and never-ending city-building project. The city’s public art program is constantly announcing new competitions and unveiling new works. New bike paths and better network connections are popping up slowly but surely. Indie music festivals and a proliferation of small music venues are growing the local music scene and appreciation for that scene. Microgrant programs such as Awesome Ottawa, Soup Ottawa, Just Change are seeding inspiring and quirky projects. Startups and local businesses are booming. But when we are talking “big”, something about our “big” projects is usually actually a pretty small middleground controversy. If there is going to be controversy no matter what, we should really ask what we want to fight about. Should it really be about whether you think the architecture of the 1910s was prettier than the architecture of the 2010s. The Chateau Laurier addition is far from radical, innovative, challenging, or disruptive architecture. I actually wish it were. It detracts and distracts from the Chateau and Parliamentary District without offering any significant or meaningful contribution in its place. Protecting the heritage character of the Parliamentary District is far from absolute. To the contrary, its heritage is eclectic and ever-changing. The National Arts Centre (1969), the Bank of Canada (1979), the National Gallery (1988), and the Museum of History (1989) all challenged the traditional heritage and architectural style of the Parliamentary District. They were all contemporary additions that contributed something of their own time to the evolving heritage of the district. The argument is not really about architectural style. Paying close attention to the quality, values, and creativity rather than any particular style expressed in each of the past examples leaves you with a pretty remarkable impression about Ottawa’s landmark district. There is the heroic scale and dedication to cultural identity of the 60s; the elegance and mastery of the 1970s; the playful quirkiness and symbolism of the 80s. As an eclectic set, they also represent the work of some of Canada’s most celebrated architects and firms: ARCOP, Erickson, Safdie, and Cardinal. We can certainly say that the Chateau Laurier addition along with the NAC and BoC renovations are contemporary architectural products of our time. But it is, in my opinion, a depressing rather than enthusiastic statement. Our grand architectural imprints of this decade look like shopping malls, condos, and car dealerships. Rather than obsessing about respecting the past, what about respecting the future? Is this really the best we have to offer? But because I would rather end on a positive note, my hope is that perhaps maybe the real legacy we leave will require that history not just consider our big landmarks, obvious statements, and award-winning architecture. If history looks at the community involvement, at the small projects and day to day little improvements, maybe we won’t come off looking so bad. Maybe generosity, passion, mindfulness, and community will be imprinted in our mark on the city. My Jewish New Year resolution will be to use this column to write about the small and amazing Ottawa-class projects, programs, initiatives, artists, creators, and community groups doing great things in and for our city. Shana Tova! yowLAB is Ottawa’s architecture and design ideas lab. UrbSanity is co-published by Centretown Buzz. Agreed, the issue is not the desire to be big nor the shallow claims to that effect. It is the shopping mall result (such as Lansdowne with its “unique stores” [sic] ) and the poor quality architecture that exemplifies 90% of new developments overseen by the city. To be world class, we need good design, and that is something our city officials and developers do not understand or care about, preferring a lot of marketing to hide realities. The city should perhaps have urban architects on staff to create a vision, rather than ad-hoc run to the next low-cost low-design big protuberance they can wave around proudly. I look forward to your New Year’s Small & Amazing column, i think you may find excellence and look forward to seeing it through your eyes.